Together let’s make the despair caused by anxiety a thing of the past! 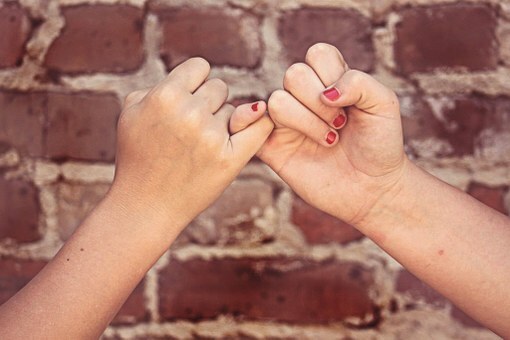 In order for Anxiety UK to be able to continue supporting those with anxiety, stress and anxiety based depression, we rely on the on-going generosity of supporters. 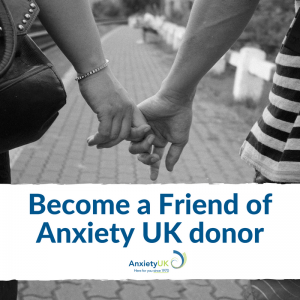 By becoming a friend of Anxiety UK, your regular donations (no matter how large or small), will play a major part in ensuring the we can continue to be able to support others affected by anxiety, stress and anxiety-based depression. Simply complete our Friends of Anxiety UK leaflet (below) and return it to us!